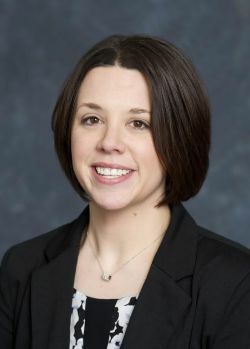 Nicole E. Baumgartner, Au.D. - Hearing Evaluation Services of Buffalo, Inc.
Doctors > Doctors of Audiology > Nicole E. Baumgartner, Au.D. About Nicole E. Baumgartner, Au.D. Dr. Baumgartner has been with Hearing Evaluation Services since 2014, and has been practicing audiology since 2007. Prior to her audiology career, Dr. Baumgartner worked as a speech therapist for three years. She has worked in a variety of settings and has experience with patients of all ages. She has a strong pediatric background and plenty of experience with hearing devices. Dr. Baumgartner is also an HES’ expert on bone-anchored hearing aids. Dr. Baumgartner grew up outside of Cooperstown, New York and worked and lived in other cities throughout upstate New York before eventually relocating back to Buffalo in 2008. She currently resides in Lancaster with her husband and two children.